Radio in Guyana surrounds us, is part of our everyday lives. We hear it in the minibus, our offices and when at home. And with streaming, we can even listen to it on our mobile phones. And because of its ability to influence many people, radio has also not been immune from political meddling. 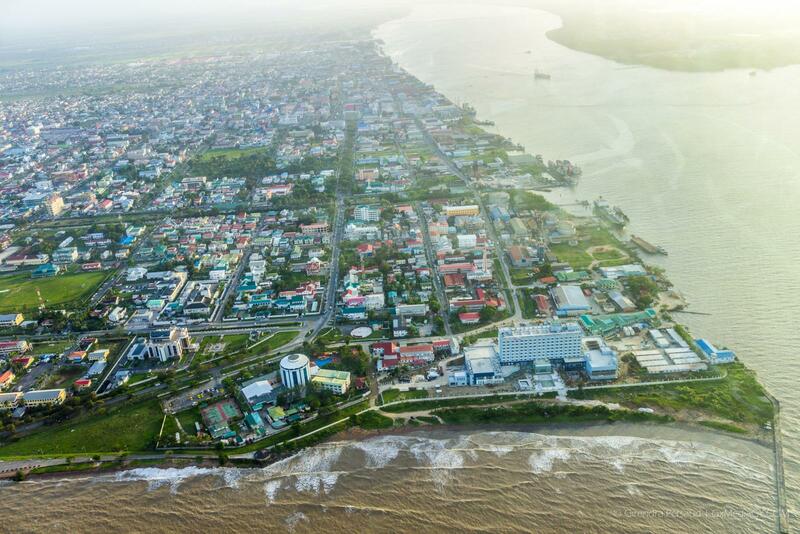 In Guyana, licenses to operate and the best frequencies were only reserved for those who proved themselves loyal to the government of the day while those interested in radio for its own sake were shut out. For almost two decades applications by new parties to be granted licenses gathered dust while others continued to operate despite being in arrears for fees. All this changed with the election of the coalition government in 2015 and a broadcast authority that was finally allowed to do its work both in getting errant broadcasters in line and granting radio licenses to some very patient applicants based on their qualifications rather than political affinities. 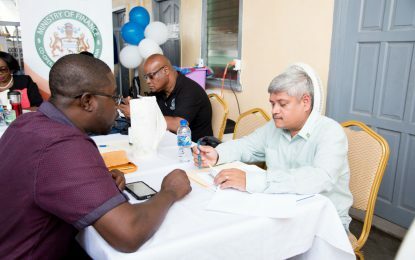 Chairman of the Guyana National Broadcast Authority, Leslie Sobers, in a revealing interview with the Department of Public Information, detailed how straightforward the process is now to get a license, as well as some information on how many licenses have been granted since 2015. One of the most impactful interviews coming out of these meetings was with Chandra Narine Sharma, better known as CN Sharma. Mr. Sharma is nothing short of a veteran broadcaster, pioneering television in Guyana over 25 years ago. He started with a simple antenna at the end of a lantern post, prompting the people of that time to refer to his station as the “Lantern post station”. At this point CN Sharma became vocal about the way he was treated, recalling the many times he was shut down by the then government of the day, recalling when they seized his equipment in an effort to keep him off the air. By now it had become a bit too much for Sharma, and I thought it best to bring the interview to a close. But a brief perusal of the many letters sent would paint a vivid picture of the royal run around that Sharma would have had to go through before his dream was made a reality thanks to the current administration. Another station that came to fruition recently after fighting for twenty years to be granted a license, is VOICE FM, broadcasting on the 96.1 FM band. They came out as Guyana’s first talk radio, and have been making gentle strides since their beginning. We managed to get a few words with its manager, Maria Benschop. She is convinced that with VOICE FM being talk radio, they are different from the competition. This in itself is a major achievement for media in Guyana, because this very stance of speaking freely, was what saw CN Sharma being fought down by the previous administration. Those who opted to defy the then government of the day or to vocalize and speak about the ills of the administration were targeted and marked, often times made to be at the receiving end of trumped-up charges and accusations, much like with CN Sharma having his equipment seized just to keep him off the air. On the forefront of promoting local artistes and works is Brutal Tracks Recording Studio –a production company that catered to Guyanese musical talent, giving them access to a professional studio and mixing since in the early 2000s. But they too had a dream, to push local content even further, and for this, they created an online radio stream. However, they had ambitions for something greater – to be able to operate their own radio station within Guyana, a dream that they were denied prior to 2015. Radio is now a staple in the lives of many Guyanese, especially the working class. And with recent policies and the granting of various licenses, we are beginning to see an expansion into rural and hinterland communities. To this end in the space of two years from May 2016 to April 2018, there was an explosion of hinterland radio stations coming on air. It began in May 2016 with the launch of with Radio Lethem in Region Nine which was followed the next month by Radio Mabaruma in Region One. Subsequently, in October and November 2017 the country saw the establishment of Radio Mahdia, Region Eight and Radio Bartica, Region Seven respectively. In 2018 Radio Aishalton, Region Nine, and Radio Orealla, Region Six went on air.